Get in on the ground floor of Downtown Student Life or start a business with this 10 bedroom, 2.5 bath whole house with modern kitchen open to living room. Past rental history at 550 per bedroom. Currently top and bottom floor stairwell is seperated with a locking door so it could be a 4br/1ba first floor unit and a 4 bedroom 1.5 bath upstairs with a kitchen/LR remodel. 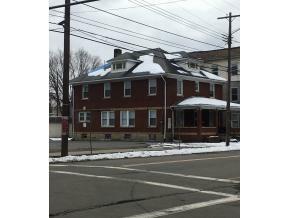 160 Hawley Street, Binghamton, NY 13901 commercial was sold for $165,000.